Check out the FAQs below to get speedy answers. Still have questions? Contact us at help@ultrapop.shop, and we'll get back to you ASAP. Stand up. Stand out. Envisioned as an oasis of endless goods that make you smile and brighten your day, Ultrapop was born out of a desire to satisfy your craving for shamelessly cool sh*t.
Animals are for loving! We wouldn't be caught dead using fur for our jackets, lashes or makeup brushes. And we'll never ever use real leather for our bags, accessories, or clothing! We don't mess with feathers, either. They're super cute, but without a surefire way to 100% guarantee that no needless cruelty was involved in their sourcing, we just don't think it's ever worth going there. Ultrapop HQ is located in sunny Las Vegas, NV. While some orders are shipped from our Las Vegas offices, the majority will ship directly from our warehouses in Shanghai. When we fulfill orders with multiple items, know that each item will likely be shipped separately. How long 'til I get my order? Most orders arrive within 1-3 weeks but in some cases may take up to 4-8 weeks for delivery. At this time we do not offer any expedited shipping services. If you're looking to get the perfect gift for your bestie or an outfit for an event, we suggest you place your order up to 6-8 weeks in advance just to allow for any potential hold ups at customs. But I need my stuff here sooner! OMG babe, we totally know how that goes lol! 😂 Because we actually ship directly from our international distribution centers instead of fulfilling orders from here within the U.S., we're able to save a huge, totally ridiculous amount on our shipping, employee, and warehousing costs. And of course, we pass this massive savings directly on to our customer (lucky you)! We offer a flat rate shipping fee of only $4.95 to anywhere in the world, no matter how many items you get or how much you spend! Pretty cool, huh? Expect to receive an email with tracking information up to one week after your order has been placed. Been longer than a week? Email us with your order number, and we'll look into it for you. Help! I didn't receive all of my items. Not to worry! Your items have been shipped from our separate warehouse locations, and the rest of your order is safely on its way. Please allow 1-3 weeks for delivery and in some very rare cases, up to 4-8 weeks before your entire order arrives. 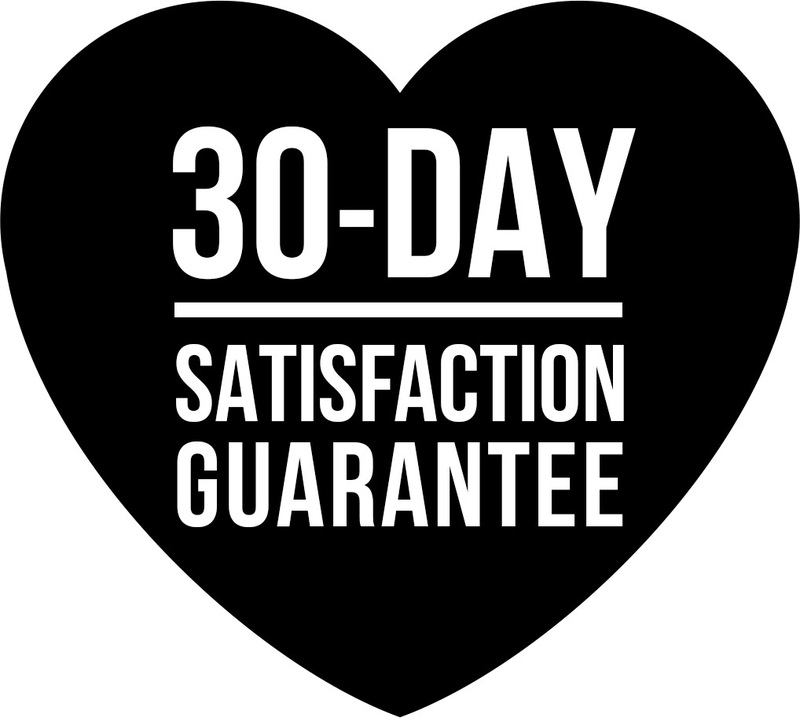 Ultrapop stands by a 30 Day Satisfaction Guarantee. Should you have an issue with your order, simply contact us with your concern within 30 days, and we'll get ya sorted! Yes! Ultrapop ships to all countries, worldwide. Yes. Ultrapop.shop is a safe, secure shopping destination built on Shopify. We comply with the highest level of PCI (Payment Card Industry) standards. Click on the security badge below to learn how Shopify meets and exceeds all 6 categories of PCI standards. In an attempt to get you the speediest service, we begin processing orders as soon as they're placed, therefore we are not able to make any changes or cancellations. Please check your order and shipping address carefully before submitting to avoid any disappointments. What is the currency conversion rate for non-US orders? Use our currency drop-down menu to select your country's currency. Prices will be displayed in your selected currency, then transacted in US Dollars by Paypal or your credit card company upon completion of your purchase, then finally converted to your local currency. Non-US dollar order totals shown during checkout are only estimates of the final amount based on recent currency conversion rates and exclude any taxes, duties, levies or tariffs that may be imposed. Am I responsible for import duty fees? Orders may need to clear customs in your country. Import duties, taxes, and customs charges are not included in the order total or shipping cost, and Ultrapop is not responsible for any additional fees. If you have questions, please check with your country's customs office to determine what these costs will be before ordering. I'm having an issue with your website. Oh no! We're sorry to hear that. Email our web guru including a screenshot of the problem, and she'll get you sorted. I have a suggestion or some feedback for Ultrapop. Cool! We welcome your feedback and relish in every opportunity to make Ultrapop a better place. Shoot us an email to get your concern heard.